Chinese cloth shoes are very soft and comfortable. They are also durable and non-slippery with good ventilation for perspiration letting your feet feel dry and odor free all day long. The Nabaiqian brand cloth shoes are in particular all handmade with quality fabric and over 30 stages of traditional fabrication procedure. The factory is located in the capital of China, Beijng being the best cloth shoes manufacturing center for centuries. 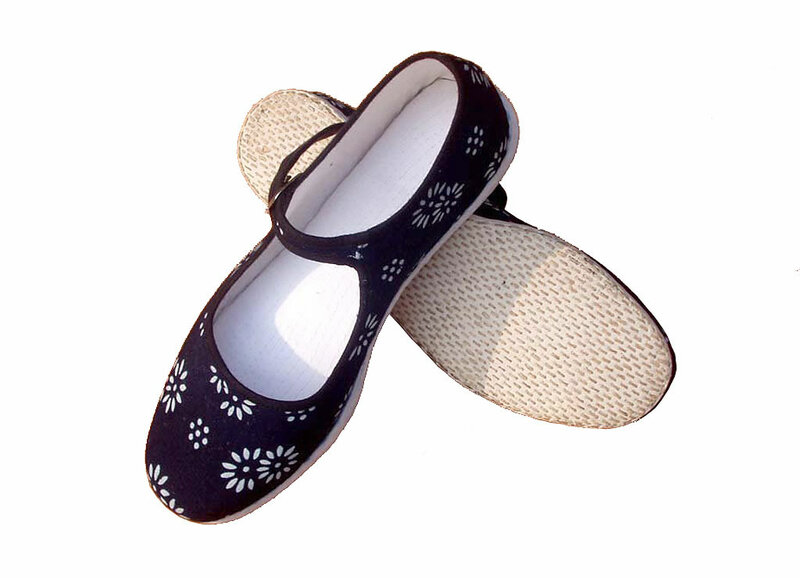 The Nabaiqian cloth shoes are also considered as green health care handicraft products as they use all natural materials with no added chemicals. • Thousand-layer Sole: The whole fabrication requires seven steps and all by hand with the multi-layer cotton sole sewn together by over 2000 stitches of flax twine, then soak into hot water and hammer to flat. This product was added to our catalog on Tuesday 03 April, 2007.